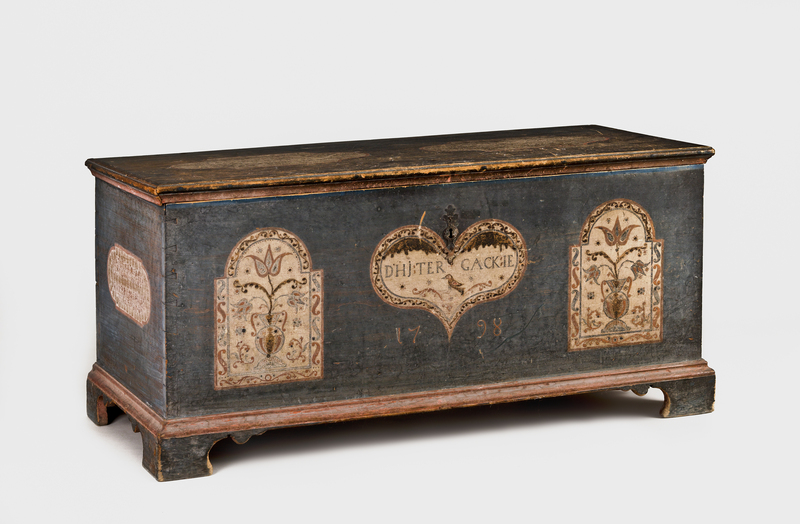 Chest, made for Dietrich Gackley, Heidelberg Township area, Berks County, 1798. Painting of Tenant House No. 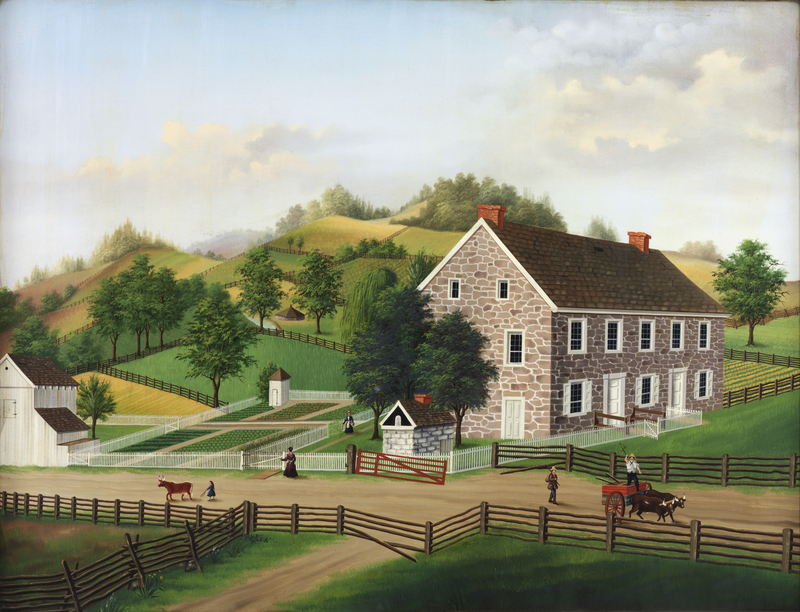 I, attributed to Charles C. Hofmann, Berks County, 1870–80. 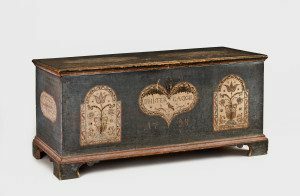 Highlights of the new Pennsylvania German gallery include two Berks County painted chests, one with a horse-and-rider design dated 1787 and the other an Embroidery Artist chest made for Dietrich Gackley of Lower Heidelberg Township in 1798. 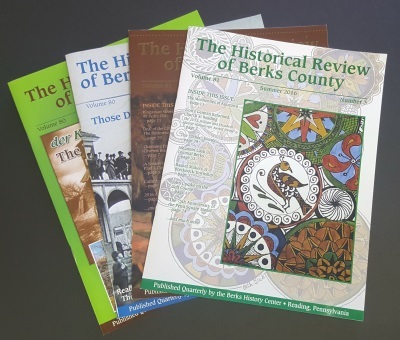 Two paintings by noted Berks County Almshouse artist Charles Hofmann are included along with a saffron box by Joseph Lehn, a striking painted “Bucher” box made for Nicholas Keim of Berks County, a Peter Derr fat lamp, and a painted corner cupboard filled with spatterware. There is also a stunning lineup of tall clocks with elaborately inlaid or carved cases.